Road transport currently contributes around one-fifth of Europe’s total CO2 emissions, making it one of the biggest single contributors to air pollution. And commercial transport in particular must bear a significant degree of responsibility for the continent’s pollution problems. Given the potential damage caused to the environment, reducing business transport emissions has emerged as a key challenge for authorities and environmental campaigners throughout Europe. This is often a controversial issue among transport operators, with many believing the industry is already too heavily-regulated to require any further restrictions. However, many of the experts pointed out that although there are widespread regulations governing the issue of road safety, there are still few specific laws that apply to sustainable fleet performance. 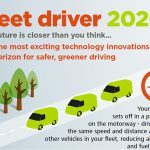 Professor Oliver Carsten, Coordinator of the EU’s ecoDriver Project, went so far as to say the UK’s Health and Safety Executive are ‘blind’ to the problem of at-work driving and could do more to ensure drivers themselves are better trained and monitored. Similarly, Andrew O’Donnell, Managing Director of Green Penny, questioned why at-work drivers – particularly those driving vans or company cars – are not obligated to undergo safety or eco-driving training in the same way as operators of heavy industrial machinery. Meanwhile, Nicolas Delangue, CEO of Cliema, explained that large companies in France are offered incentives from the government to implement safety measures but not to limit the environmental impact of their fleets. As a result, eco-driving is not high on the list of priorities when it comes to improving performance of company vehicles and drivers. What are your thoughts? Should there be more regulation to ensure businesses operate vehicles in a safer, more sustainable manner? Join the debate by adding a comment below. Cultural emerged as a common theme throughout the debate between the experts and the unanimous verdict was that the majority of businesses still have a lot of work to do before claiming to be environmentally-aware. Thomas Kiso, Key Account Manager for German-based DEKRA – the world’s third largest vehicle inspection company – claimed steps taken to improve eco-performance among drivers would only be successful if accompanied by a cultural shift. There is a risk that driver training will only have a short-term effect unless the entire business does not commit to eco-driving values, setting a strong example for its staff to follow. Adoption of a sustainability culture also feeds into Corporate Social Responsibility (CSR), so by making a change, businesses can also transform their reputation among customers – becoming viewed as an organisation with a genuine commitment to business ethics. This was something Josep Laborda, ITS and Telematics Applications Manager for Spanish motoring organisation RACC, was keen to stress as a major benefit. However, CSR is not always high on a company’s agenda. Alfredo Scala, CEO of ACI Vallelunga, pointed out that road safety and eco-driving are still not viewed as priorities by Italian businesses. Instead, he emphasised the cost savings that can be made through a commitment to transport safety and sustainability. 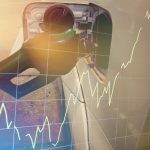 Particularly by using technology such as telematics alongside driver training, companies are able to improve driving efficiency and reduce fuel costs, while also cutting CO2 emissions. Do you think businesses are still not doing enough to improve the performance of their vehicle fleets? Which countries are leading the way and which are lagging behind? Leave a comment below.